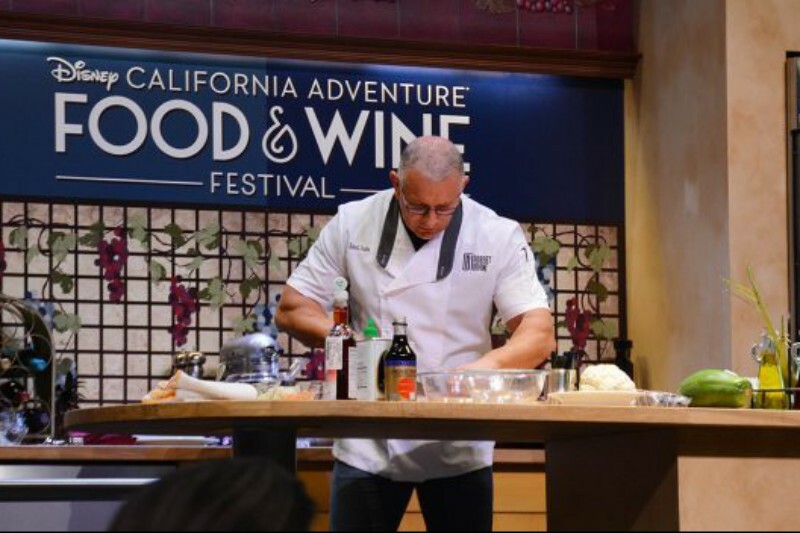 The Disneyland Resort has released information for some of the celebrity and signature events happening at the 2018 Disney California Adventure Food & Wine Festival. Reservations are available for all events that have been announced thus far. Food Network stars Guy Fieri and Robert Irvine will both appear in a new event, “LIVE at the Hyperion,” with Fieri appearing March 9th and Irvine appearing March 30th. The cost is $99 (plus tax and gratuities) per person. A $250 VIP experience is also available. Disneyland has also announced several special dinners that feature wine or beer pairings. For those guests wanting to get preview of the Festival Marketplaces, Disneyland is offering a Taste of the Festival event on March 1st, the day before the Festival begins. The cost is $125 (plus tax) or $150 (plus tax and gratuity) for a VIP experience that includes an exclusive buffet and a private seating area, plus a private bar pouring Festival wines and beers. Sweet Sundays returns with several popular television chefs taking the stage. The demonstration includes a light breakfast and a sparkling wine toast. The event takes place at Napa Rose at the Grand Californian Hotel and Spa from 10:00am to 12:00pm. The cost is $99 (plus tax and gratuity) per person. Information and reservations for Wine, Beer & Spirit Seminars and VIP Packages for Culinary Demonstrations have been released as well. This year the alcohol seminars will all be held at the Sonoma Terrace. The Culinary Demonstrations will be held at the Palisades Stage and feature several famous names, including Cat Cora, Graham Elliot, Alex Guarnaschelli, and Jet Tila, plus chefs from around the Disneyland Resort. This year’s longer Food & Wine Festival begins March 2nd and continues through April 12th.